Many people know Kansas City for its world class barbeque, Jazz, and World War I museums. But what many people don’t realize is that Kansas City is also home to some of the most beautiful religious artwork in the world. The church stained glass windows in Kansas City parishes, cathedrals, and mausoleums are truly a sight to behold. There is simply no way to ignore the awe-inspiring beauty of a well-crafted stained glass window. Their bold lines and stunning colors immediately catch you and transport you into a world of beauty and elegance. The light produces dancing colors onto anything in its path when it reflects through a stained glass masterpieces, giving an almost an ethereal quality to any space. What’s more, they exude a certain luxurious refinement– rarely matched with almost any other type of glass work. 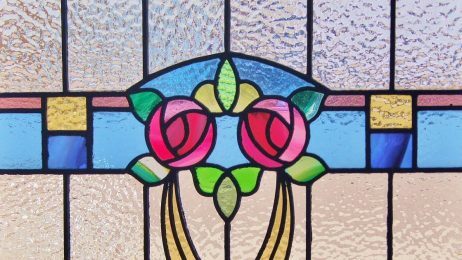 While the exquisiteness of stained glass is unquestionable, some of the other benefits of stained glass may not be obvious to just any viewer. 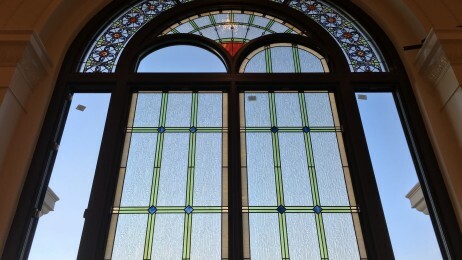 However, at Kansas City Stained Glass, we know from years of experience, there are many other key benefits stained glass brings to our customer’s homes and churches. 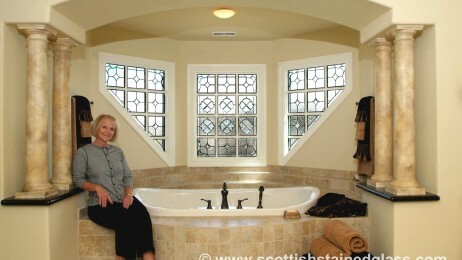 Versatility: Stained glass windows were once more-or-less, nonfunctional, picture windows. Today, they are very functional and gorgeous to boot. In fact, they can be found on many different windows from awning to casement. Style: Stained glass windows are great at bringing much-needed personality to an otherwise “vanilla” room. Often times, our clients design their entire room around a stained glass window using the window’s design to tie everything together. 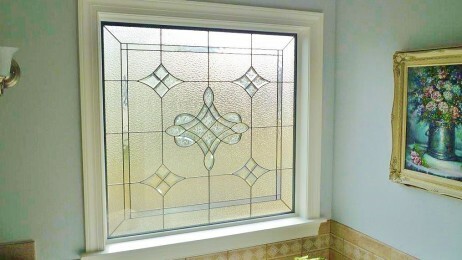 Customization: One of the largest advantages of stained glass windows over traditional windows is they are so easy to tailor fit to nearly any need. If you prefer more opacity, choose clear glass. If you are looking for a bold centerpiece, select from any of our hundreds of colors. If perhaps, you are looking for a more subtle design, consider clear custom bevels to make a smart, geometric statement. Whatever you fancy, stained glass always adds the perfect personal touch to your space. 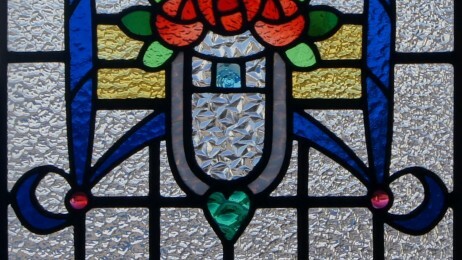 Privacy: Since stained glass windows often are covered with decorations, bevels or textures, they make it more difficult for people outside the see clearly through. This means they offer more privacy than traditional windows–with the added benefits of beauty! Regardless of which of the many benefits you care to take advantage of by having a stained glass window installed, it is most important to first hire a seasoned professional. 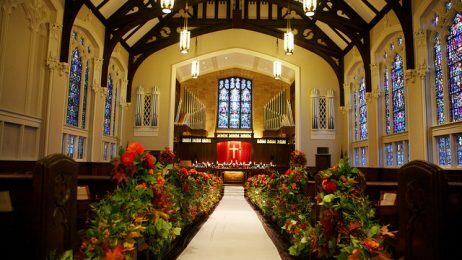 Kansas City Stained Glass has over 2 decades of experience designing, building and installing amazing stained glass windows for clients from homeowners to church parishioners. After your initial consultation and estimate, we will have our master glass craftsmen create a stunning, stained glass window to fit the exact specifications of your window frame. Also, when you hire a time-tested professional like us, you can expect your stained glass window to last 80-100 years before needing retouching or repair. To get started on owning a stained glass masterpiece all you own, contact Kansas City Stained Glass for a free, consultation and estimate today. Want to know the best way to make a grand entrance and show off to your friends? A stained glass entryway can make your Kansas City home shine with elegance. Stained glass has a remarkable appearance that’s perfect for the front room of your home. By adding stained glass door, sidelights, and transoms, you can really make the entryway of your Kansas City home stand out. 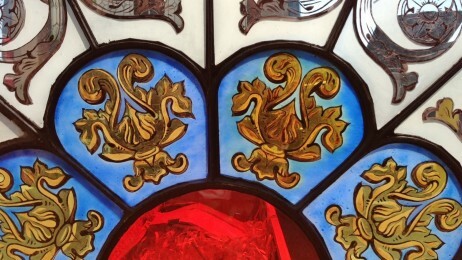 Part of caring for stained glass is being aware of any signs of deterioration. Though glass is a fairly durable substance, when exposed to harsh conditions, it can wear over time. 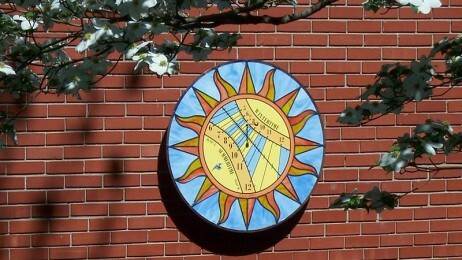 At Kansas City Stained Glass, we offer stained glass remodeling & renovation to resolve any issues of deterioration. Some signs that indicate that a restoration is necessary include changes in color, a dull appearance, and bowed or cracked glass. It’s important to always look out for signs of deterioration and address them as soon as they arise. Art Nouveau is a style of art that’s inspired by natural forms and structures. Many art nouveau pieces prominently feature straight and curved lines that are reminiscent of plant and flower figures. It was particularly popular between the years of 1890 and 1910. Today, art nouveau continues to remain a widely used style for stained glass windows in Kansas City homes. Why Are There So Many Stained Glass Window Artisans in Kansas City? Have you ever wondered why there are so many buildings in Kansas City with stained glass? Some of the homes and churches here have become extremely popular tourist attractions due to the immense beauty and intricacy of their windows. But what brought all these artists to Kansas City in the first place? Well, there’s really no straightforward answer to this question. Rather, it requires a thoughtful examination of the artistic culture of the city. Kansas City is home to a fairly diverse religious demographic and is also the site of some of the oldest churches in the country. It is estimated that there are over 1,600 sites of worship in the city, including the 100 year old iconic Redemptorist Church. Finding a church that speaks to your religious beliefs is important to people of faith for many reasons. It creates for a sense of belonging, helps to deepen your faith, and can provide you with the guidance that you are looking for. Your home is your castle. It is a place all your own where you are free from the outside world. Often times the need to renovate your home comes from necessity, like new plumbing or new roof. But from time to time you choose to do an upgrade that speaks to your personal taste and adds a little something extra to the place where you spend the most of your time- your home. One such upgrade is the windows in your bathroom. If your home is your castle then your bathroom is certainly your throne. It is the only room where you are ever truly alone, as free from the frantic family activities in your house as you are from the hectic goings on in the world. But not all bathrooms are created equal and sometimes when you live in a city you don’t always have the privacy you want from your bathroom windows. Nothing ruins “me time” more than untimely and awkward eye contact with the neighbor next door when you are reaching for a towel! That is why adding stained glass windows to your bathroom is an upgrade not only in your home but in your quality of life. A stained glass window will add ambiance to your boudoir and privacy enough to make the outside world seem like a distant dream. 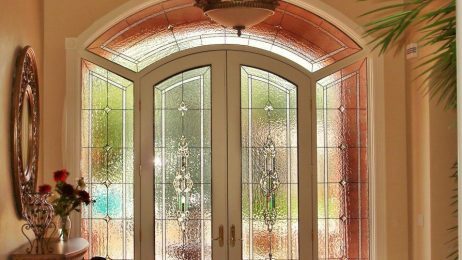 When choosing a contractor for an upgrade as artful as stained or leaded glass windows, looking for experience is a must. With the right contractor, you will get the quality needed to enjoy the piece of art that is your window, as well as the quality that will make the window last for a very long time to come. Kansas City Stained Glass is a branch of Scottish Stained Glass, which is the largest custom glass studio in the country. We have over 20 years of experience and the most skilled craftsman in the field. In fact, we have done more than 75,000 windows over the years, so you can feel comfortable working with our team. We do everything from custom design to installation, which means one stop shopping for you. Contact us today to speak to a specialist and schedule a free in-home consultation! 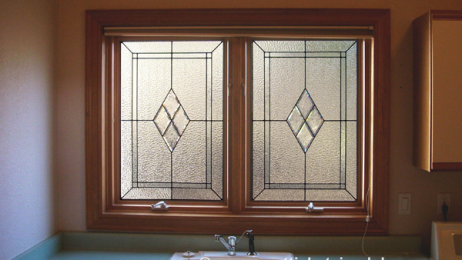 With custom designed stained glass, Kansas City homes and businesses can have windows or doors created in absolutely any style, any pattern, any design, any colors or types of glass. With over 60,000 stained glass installations under our belt, we believe we have earned the right to be considered experts. Here at Kansas City Stained Glass, we’ve got a process in place to collaborate with our clients in creating the most beautiful and highest quality stained glass windows, custom designed to their specific tastes.